Good Stuff NW: My New Superpower: Hard-boiling Fresh Eggs! Another way that works well for me is to *steam* them - the results make for a less well-done yolk, which I enjoy, and I seem to experience less cracked shells this way. I use a steamer insert for a few eggs, or a large pasta steamer pot for a large amount. Bring water to boil, put eggs in steamer basket and steam for 13 mins. Put into ice water for 5 minutes (or until not warm to the touch), then into fridge if not peeling immediately. I'll definitely have to check this one out, Michele…thanks! If your tip for being able to peel fresh hard boiled eggs works… you will be my new best friend!! 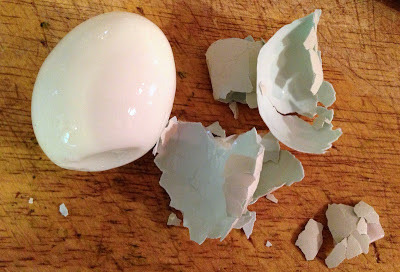 Deviled eggs are my husband’s favorite snack and I dread having to peel the stupid things. Oh my gosh, this is amazing! I have tried various tips I've seen online for boiling fresh eggs (baking soda or vinegar in the boiling water) and it never works. I always end up peeling away half of the whites. 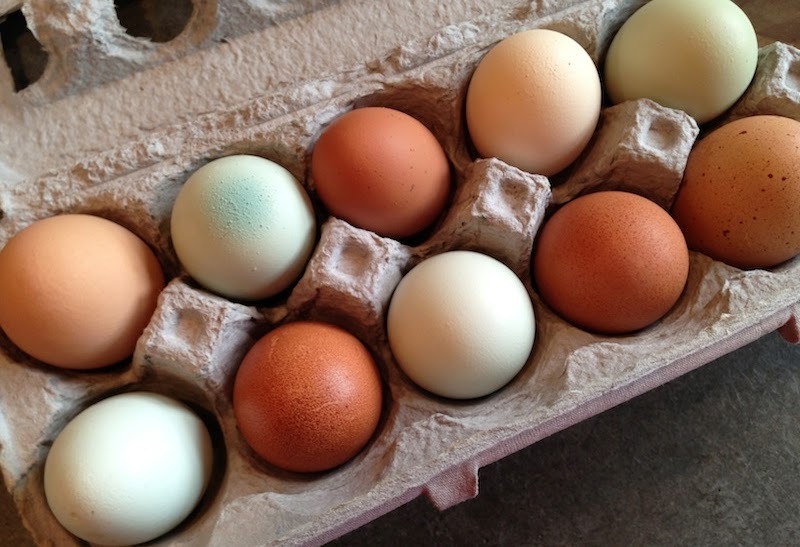 I just boiled 9 FRESH eggs using your method, and every single one of them peeled perfectly! Thank you, thank you!!! Glad to share the superpower with you, Anon…have fun! You might also try letting them set in very cold water, till cool to the touch. Then in the fridge, at least a few hours. Best over night. Then run it under hot water, then peel. Thanks for the suggestion, Anon. Now I'll just have to work on not waiting till the last minute to make them!